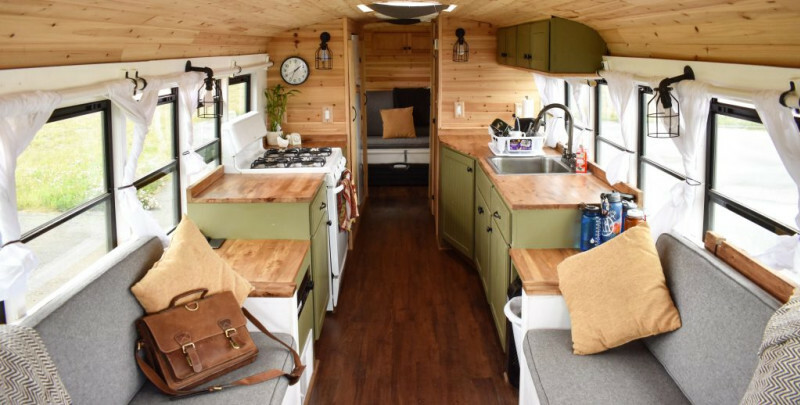 Our guest this week proves that you don’t have to be an interior designer to live in a lovely, comfortable, and impressive space on wheels. While attending tiny house events in Washington, Texas, and Florida; Michelle noticed an increasing number of Schoolies joining the party! And, known to go where the party is, Michelle met our guest this week and was immediately comfortable in his space; a renovated school bus. What tiny houses lack in mobility, busses more than make up for! Imagine. Just get in the driver’s seat and GO! What are the unique challenges of driving and parking these funky houses on wheels? What motivated Michael to renovate a bus, instead of an RV? How easy, or hard, are they to drive and heat and occupy? And, what do his parents think? This professor on wheels has a lot to teach us so sit down, be quiet, and take notes. There WILL be a quiz! !